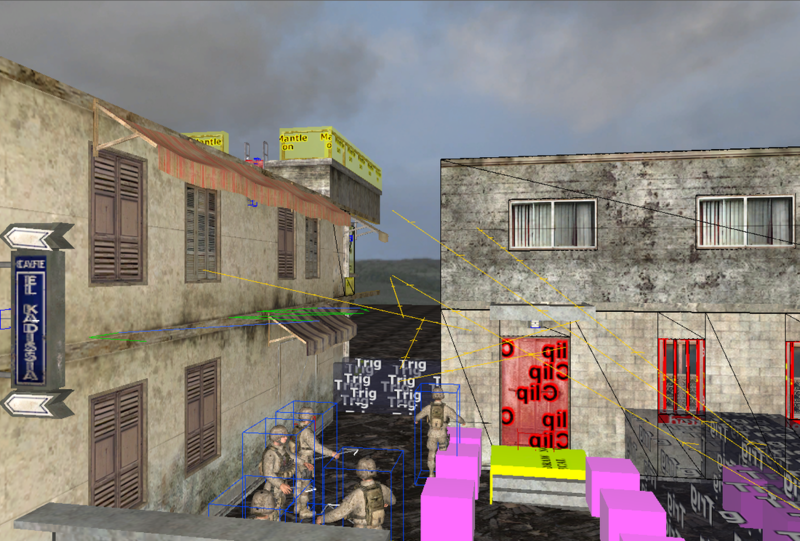 This is a single player mod level using the CoD4 toolset. 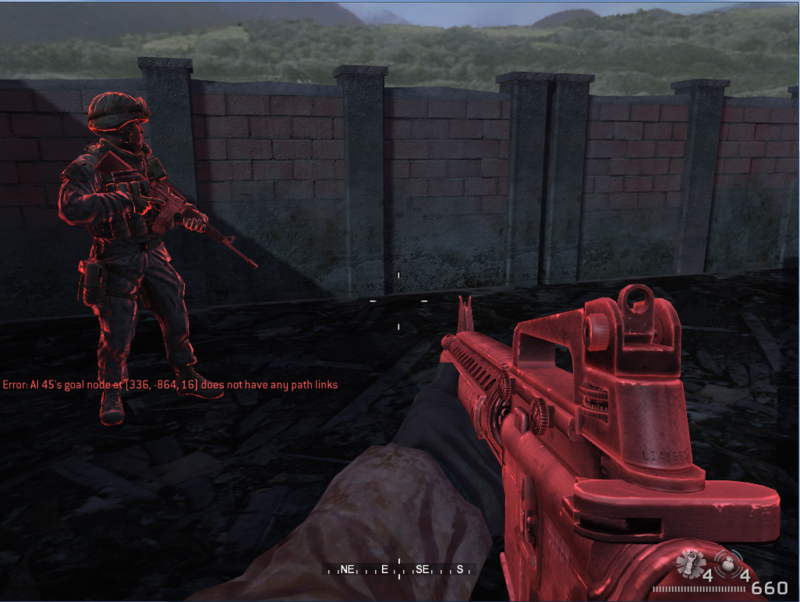 I have came up with this story that the player and his squad is on a search mission while they got ambushed. After fierce combat only the player survived. Later the player has discovered the heavy guarded hide-out of the local smuggler. The player needs to find the perfect sniping position and the weapon he need to take out the smuggler's boss. 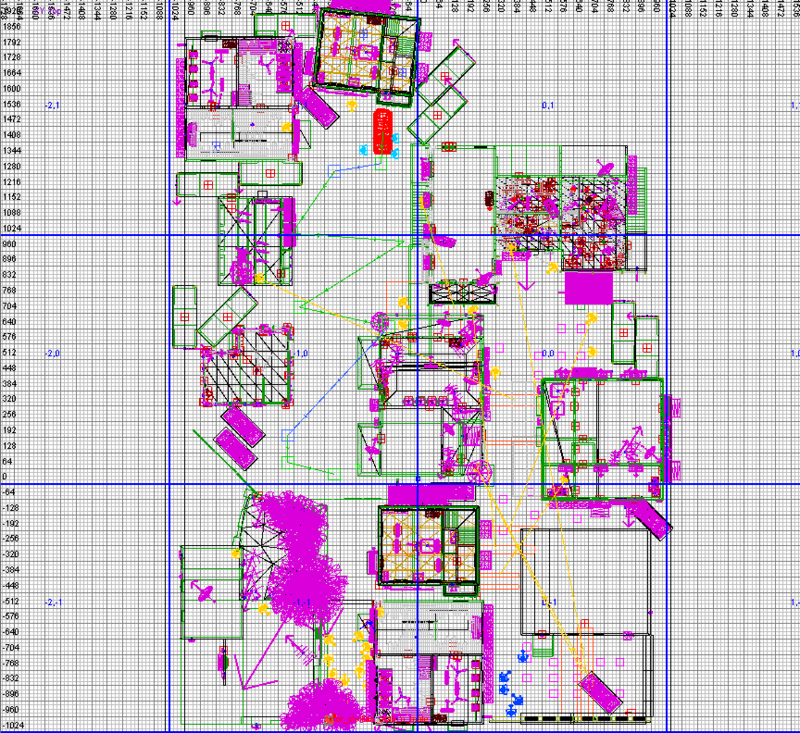 In-radiant map screenshots: buildings are taken out from mp_backlot.map prefabs. Gameplay fraps: Updated on Nov 28, 2012. 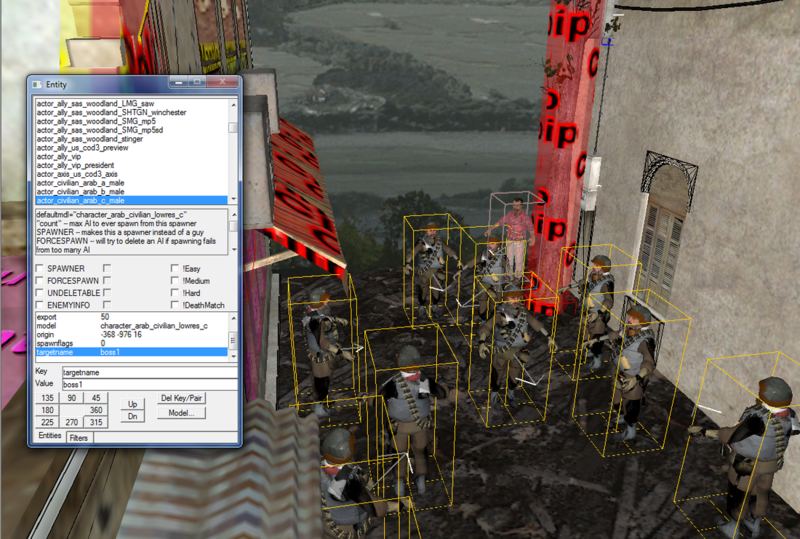 Below is the script driving the gameplay above. Without prior experience with CoD4 mod tools, I am trying hard to do as much as I could within two weeks. My map now still suffers from a bug of AIs are not being able to find their path. 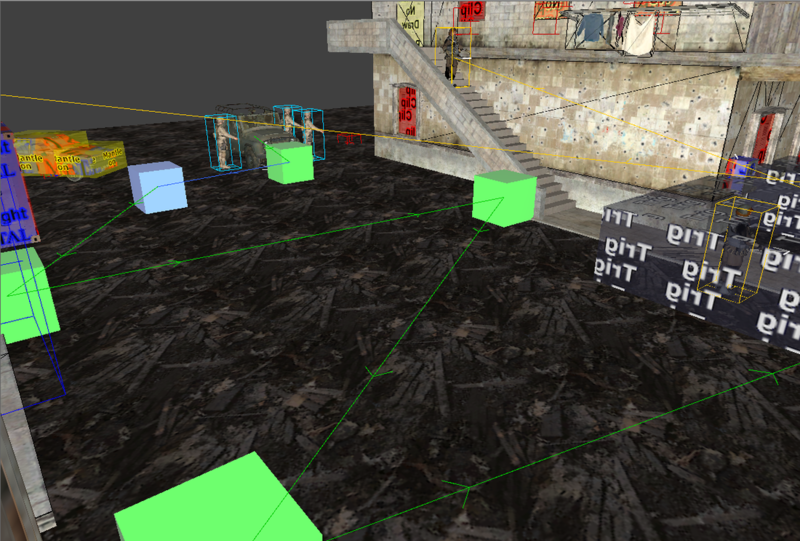 This has really limited my implementation of level design. I am also having some issues of lighting that are not fixed yet. That is why the scene is covered with a layer of red color.